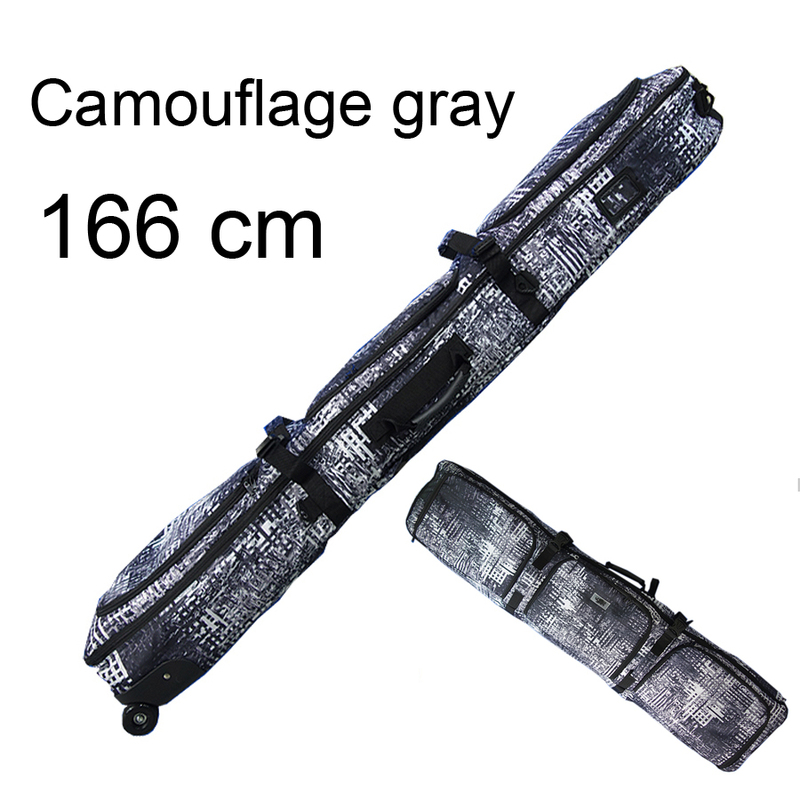 Quality- Durable 800D material throughout the entire outer body of the bag providing a very durable and tear resistant shell. 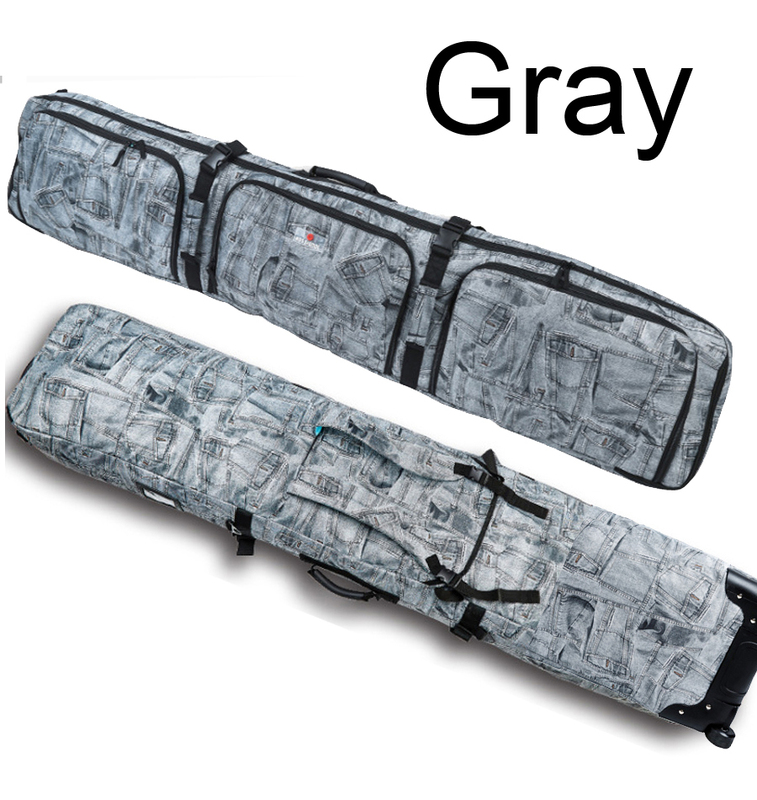 There is thick padding found all around the bag on every side. 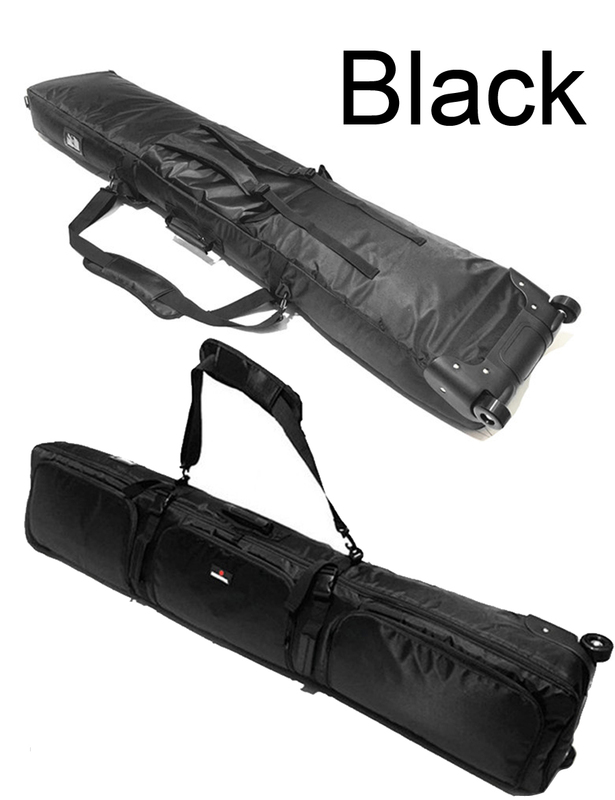 Big- This Demon snowboard bag is big enough to fit multiple boards, boots, bindings and accessories. We can easily fit 1 boards with bindings, boots, tune kit, gloves and still have room some room left over. 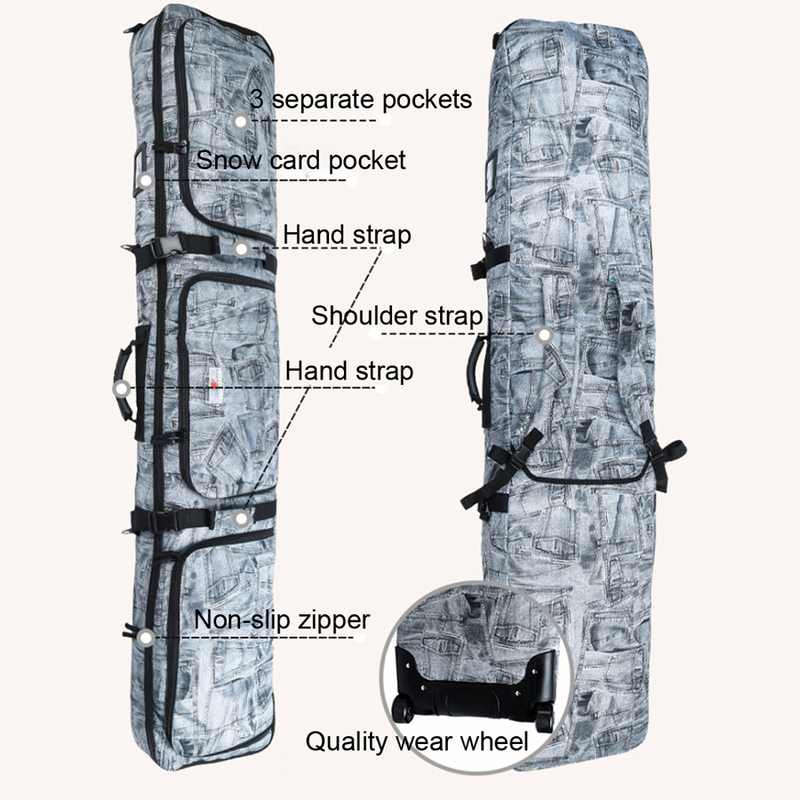 Wheels- Durable wheels and guards protect the bag as it is dragged through the airport. 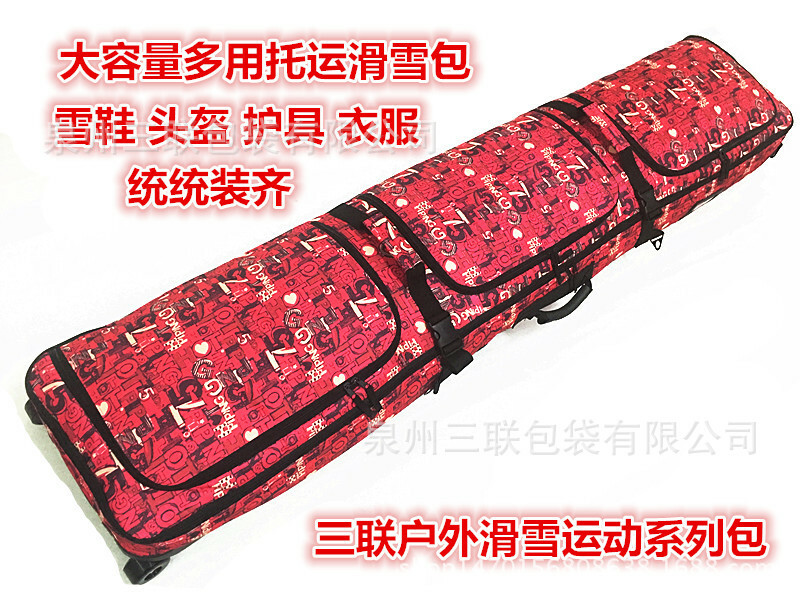 Handles- Two durable handles on top and front of bag. 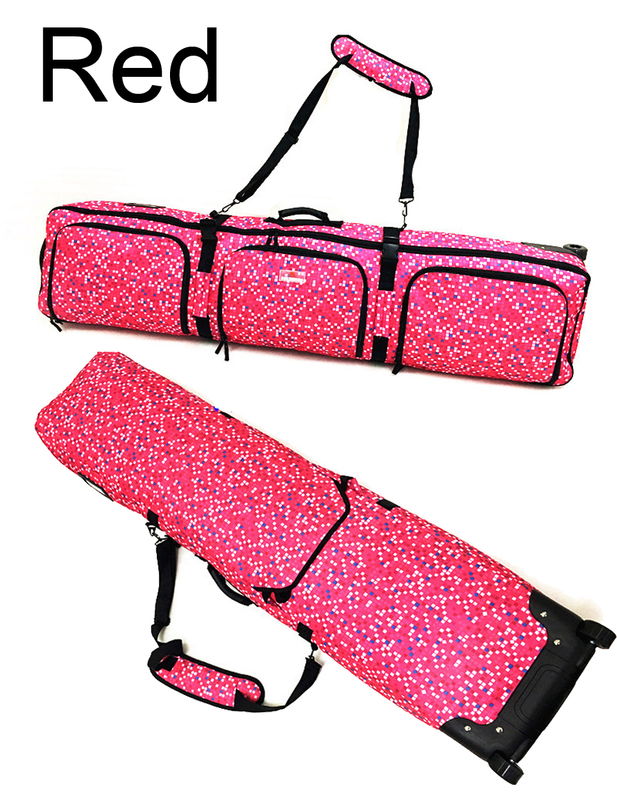 Also includes shoulder strap and exterior pocket for accessories. 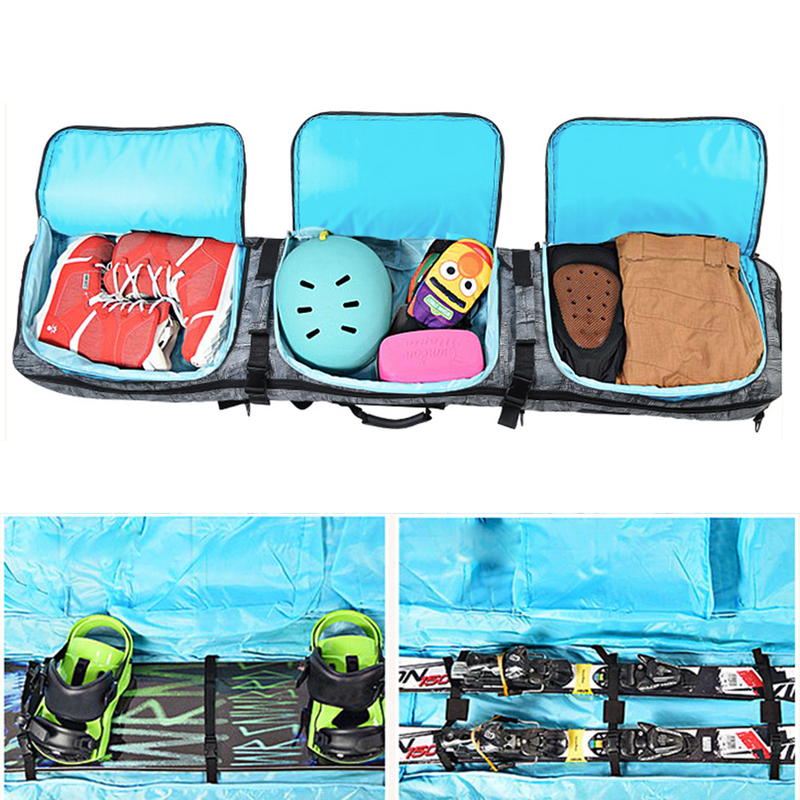 Interior- There are 3 independent interior bag for shoes, clothes , helmet and other gears, they are fully padded top, bottom, and sides with thick foam.